Kelly Hess has been working in the field of sustainable finance for the last 8 years. 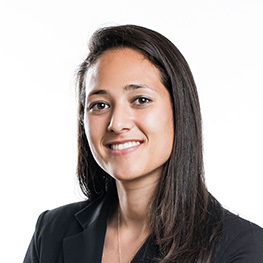 At Swiss Sustainable Finance she is responsible for implementing different workstreams and liaising with members and other stakeholders to coordinate publications, events and other tools used to promote the topic of sustainable finance and foster the use of sustainability considerations within the financial industry. Prior to joining SSF, Kelly spent 5 years at RobecoSAM in various positions related to Sustainability Indices. She was responsible for the development and commercialization of new sustainability indices within the Dow Jones Sustainability Index (DJSI) family.